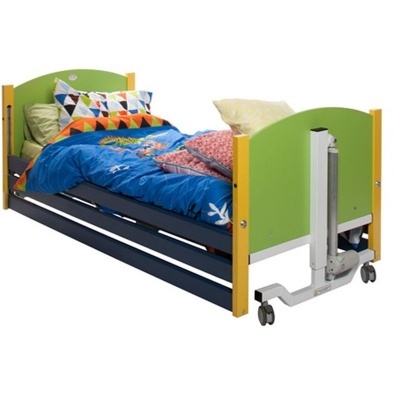 Medical environments can be daunting for children, so unique equipment is necessary to meet the unique challenges that paediatric care presents. The Sidhil Bradshaw Junior Profiling Bed is an ideal option, as it is specially designed for children and features a weight bearing capacity that allows adults to sit on the bed as well to comfort the child. 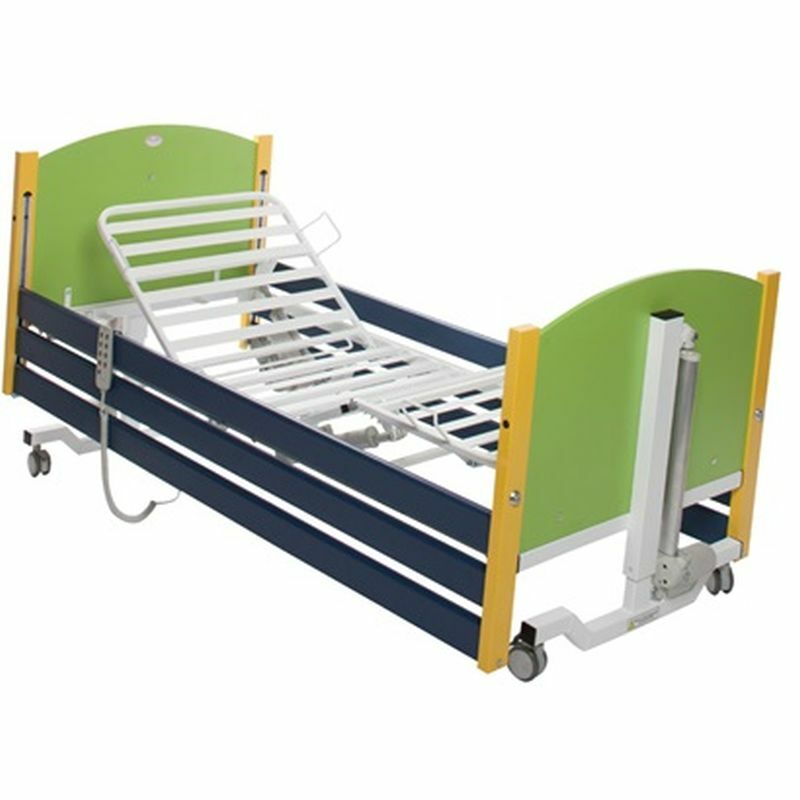 Bright and colourful with smooth movement designed for comfort, this bed fills the gap in the market for a bespoke paediatric profiling bed. Unlike standard profiling beds, this bed is made with a bright and colourful design to make the child's room as friendly as possible. The weight capacity is reinforced to allow parents to sit alongside their child, and the side rails and handset feature extra locking precautions to prevent unwanted tampering to ensure the bed stays at the preferred settings. This electrically operated profiling bed provides a combination of safety and comfort, with the backrest and leg section operating harmoniously to reduce pinching in the sacral area. Enjoy peace of mind with a bed that combines comfort, safety and child-friendly design. Please be advised that the Sidhil Bradshaw Junior Profiling Bed is usually delivered between 3 - 4 weeks of your order being placed. We would advise you to consider this delivery estimation before placing your order and apologise for any inconvenience that this may cause. For more information, please contact our Customer Care Team at 020 7501 0592.